In an age when most business people walk around with the entire Internet in their pockets, “location, location, location” includes high quality wireless and wired connections when it comes to influencing tenant demand and ,therefore, building valuation. For today’s forward-looking office business landlords, tenant access to their cloud and the Internet in general has become a fundamental game changer. 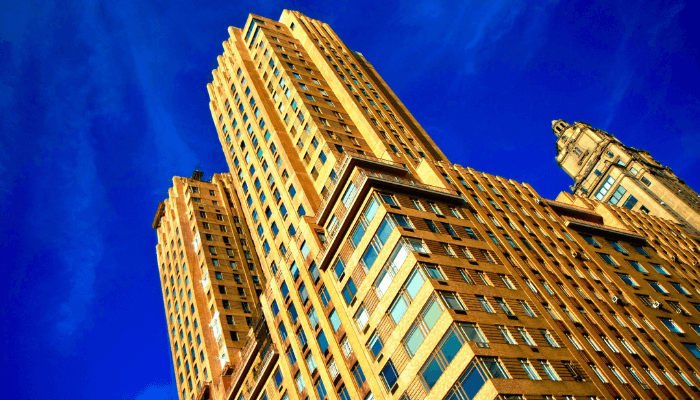 Buildings need to be smarter, providing better energy and resource efficiency, and adding high-speed fiber is a great way to make that happen while increasing your commercial real estate value. A 2015 white paper by the Fiber to the Home Council Americas cites data from the University of Colorado at Boulder. They found that not only does a fiber connection add an average of 3.1 percent to a property’s value, but valuations are increased by an additional 1.8 percent when comparing areas with connectivity speeds of 100 Mbps with those that support 1 Gbps or more. In the age of the cloud-based business, older models of real estate appraisal just don’t apply anymore. What are the logical implications that made “location, location, location” so critical for the past several generations? For starters, let’s consider how close the physical building is to public transportation, smooth driving, and easy parking. Traditionally, an office that is situated relatively far from major infrastructure and thoroughfares is going to be less attractive to tenants. By extension, if your building has inadequate access to online services, then this too is a type of prerequisite accessibility. As Harvard Business School Professor Robert Kaplan puts it, access to the Internet over fiber is quickly becoming more important than roads when it comes to property value and infrastructure. This is hardly just an analogy. The Strategic Network Groups' data shows that 46% of organizations labeled fiber Internet as "Essential" or "Important." Of course, areas that are technological hubs are more likely to have access to gigabit Internet service. Surely other factors are at play here as well – locales with best-in-class Internet speeds are more likely to be successful economically for any number of reasons. It’s the old chicken and egg conundrum, but the holistic effect is indisputable. As today’s business tech specifications become the standard across the country, local governments and community organizations are taking the initiative to work with private enterprises to implement fiber solutions and spur investment demand. In areas where not every building has the same speeds as the next, owners can differentiate themselves from the competition by offering direct fiber access. And since quality business Internet service is a top priority for companies, high connection speeds are more critical than ever. The logistics involved with getting connected via fiber optic cable are surprisingly simple. The fiber cables themselves are brought into the building and are used to extend the conduits for connectivity that already exist in your building. Alternatively, a new conduit is installed in the telecommunications room where the appropriate circuit lives – and from there, fiber is used to bring the connectivity directly to individual employees’ or tenants’ office suites. Moreover, when you use a fiber-specializing service provider, you can introduce fiber to your building without worry. Experienced experts have the skills to handle even the trickiest of feasibility assessments and implementation specifics. In some situations, extensive lengths of cable must be installed, connecting a building to the nearest viable conduit. In most cases, though, property owners are surprised by how simple, straightforward, and cost-effective it is to upgrade to fiber. Although it will increase your commercial real estate value, one common misconception we encounter is that bringing fiber connectivity to a building is intensive, expensive, and time-consuming. In some cases, this may be true, but most of the time our customers are surprised at how easy the installation was on them and their employees. With Atlantech, you can leave the heavy lifting to us. We shoulder the majority of the workload for installing fiber, so you don't have to. Only in rare cases will we require assistance, and for the most part, once a plan is approved, not much else is needed from our customers. Interested in getting fiber installed in your property? The increasing popularity of fiber optic Internet is making it more affordable than ever to upgrade. 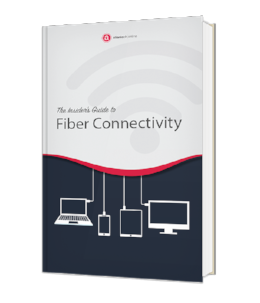 Download The Insider's Guide to Fiber Internet Connectivity to learn more about the benefits, the installation process, and find out how you can get fiber in your building.